Characteristics: Makes identical loops every time! 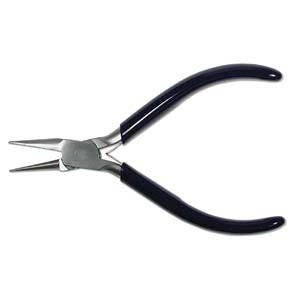 This plier has two styles of jaw, flat and round, with three grooves on the flat side. These grooves allow for exact placement of wire to create identical loops each time. Additional Information: Features box joint construction and spring-action to reduce hand fatigue.